InterAmerican team members frequently travel to meet with partners, grow relationships and learn more about the coffees we buy and the individuals, communities and worlds we buy from. Afterward, they share a report about the trip. With fresh-crop green coffee from Papua New Guinea (PNG) just arriving and afloat, we were inspired to share an excerpt from a 2016 report by John Mason, following a visit to PNG and our Neumann Kaffee Gruppe (NKG) sister company there, New Guinea Highlands (NGH). How to get to Papua New Guinea? Houston to Los Angeles to Brisbane to Port Moresby to Mount Hagen. Time in the air: 23 hours. 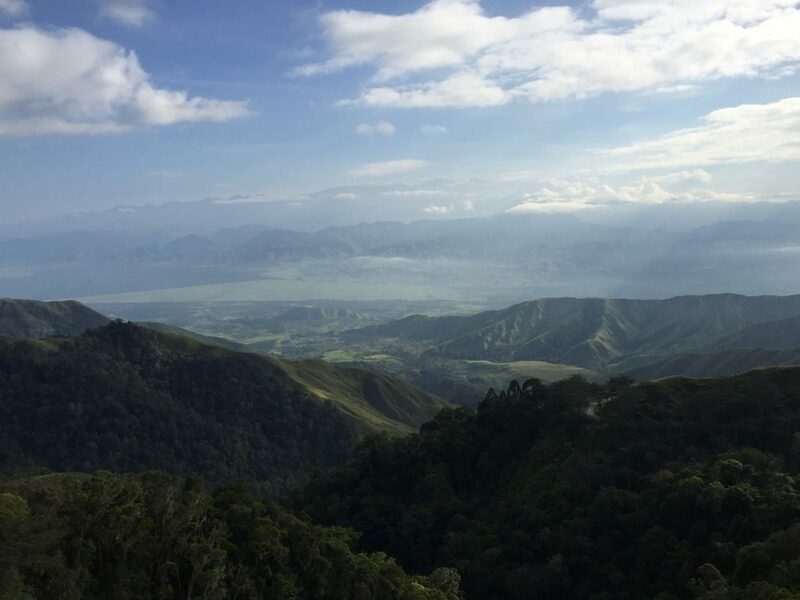 We meandered from Mount Hagen, in the Western Highlands, through the Wahgi River Valley, visiting old and new areas where coffee is being grown and processed. We went to Kagua and Kagamuga, to Kigabah and Banz (the big, old traditional plantation) and up to the hills overlooking Jimi Valley. Personal highlight? Daybreak looking out over Mt. Hagen Valley. Coffee was introduced on Mt. Hagen in 1930, and the environment for it is ideal: the right altitude, temperature, environment, soil. Early producers even drained parts of the valley to open up more land for production. PNG produces around 1 million exportable bags of green coffee per year, and the heart of the main crop is May through July, with a fly crop (referred to as a “Christmas crop”) in December. The next morning, we drove east along the river, making frequents stops at “cherry bars,” buying stations and small mills, and up over the Daulo Pass (highest elevation: 2,478 meters!) toward the Eastern Highlands and Garoka. Most coffee funnels through Garoka, in the cool highlands, down toward the humid port city of Lae. It’s in Garoka that the coffees are separated, bagged, stored and warehoused. 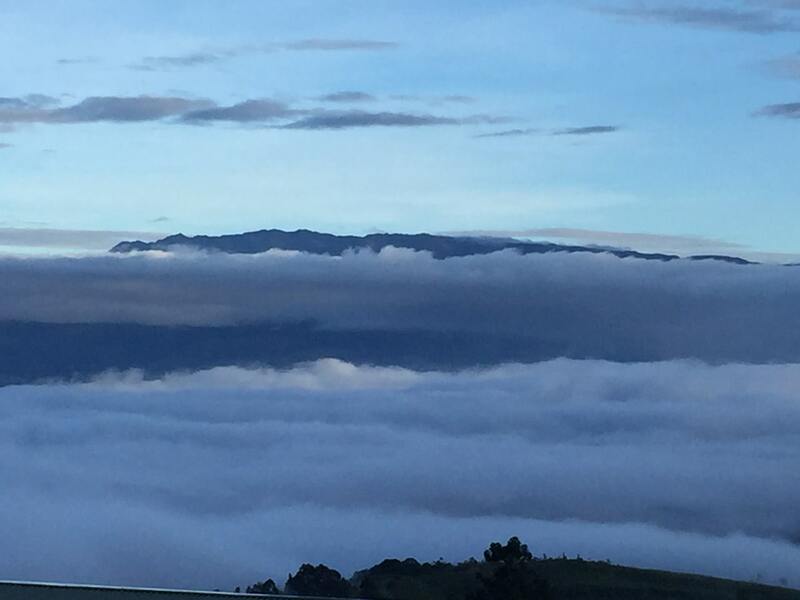 We drove down to Lae through the morning mist—a complete soup sandwich made thicker still by open campfires and smoke snaking from huts. With so many tiny producers, PNG has a scale all its own. Traveling with Grant Jephcott, from New Guinea Highlands (NGH), I saw firsthand how competitive and unforgiving the coffee business is in PNG. All these years he’s been telling me, “You have to come here to understand it.” I’m not sure about all the reasons, but in spirit, it’s tough and cut-throat and really unlike any other coffee world I’ve known. The primary reason Grant wanted me to visit during these weeks is because it’s his busiest time buying and doing rounds in the field. 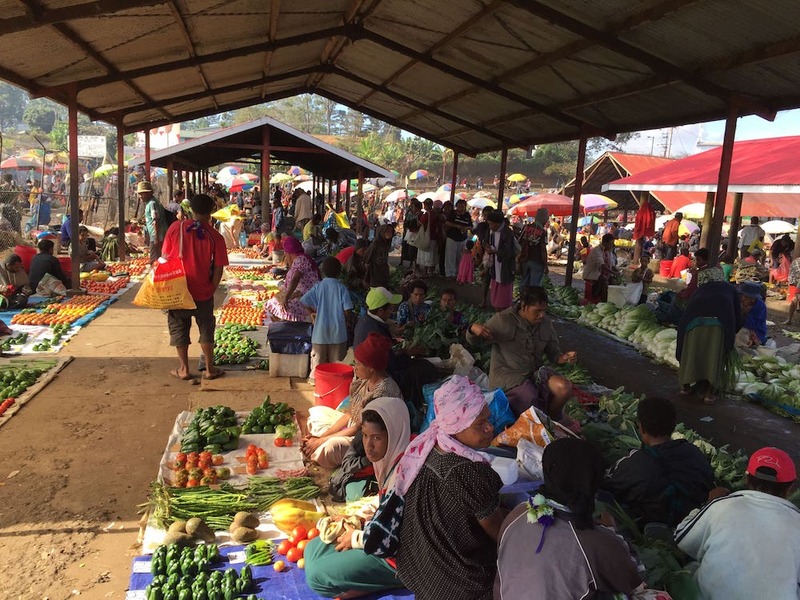 There are very, very few big farms left in PNG. The majority are subsistence and very small farmers. Who owns exactly what, where and for how long is continually being called into question. 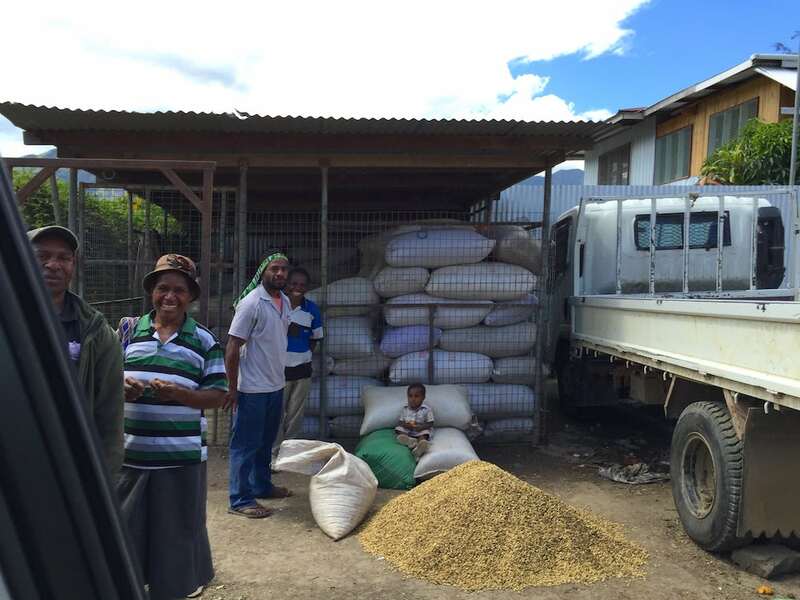 With so many tiny producers, and endless little mills, drying stations, collectors and middle men, PNG has a scale and a system that’s all its own. I saw firsthand how every crop and every deal is a new battle to fight. I was very surprised to find that NGH only buys milled coffee—otherwise, it’s too risky. Lying, cheating and double dealing are a norm that it seems are an accepted reality of PNG coffee life. As is the case everywhere, there are good suppliers and bad suppliers and everything in between, but the foundational message I came to understand is: buyer beware. We’re very fortunate to have Grant and David Hannon, with their years of experience, long memories, and shrewd and knowledgeable business minds working on our behalf. They’ve worked diligently to understand, build and develop a good supply chain and structure over the years, under difficult norms. Shane Ritchie, from the New Guinea Highlands team. NGH has invested in personnel, equipment, expansion and procedures toward improving, and everyone is very eager for knowledge and feedback. We took extra time at the cupping table over the course of two days to cup all types and categories that PNG exports, toward understanding and sharing what our goals are for InterAmerican purchases. With this new understanding of all that’s entailed in purchasing and producing specialty coffee in PNG, I’m especially grateful for what the NGH team does and has done for us with coffees like AA Arokara and the Mile High A, and it’s clear and exciting to know that these will only continue to get better. Most roads are more pot holes than actual road. Port Moresby is the capital, and it has no proper road to Mt. Hagen, where most coffee is coming from. Most roads are more pot holes than actual road. 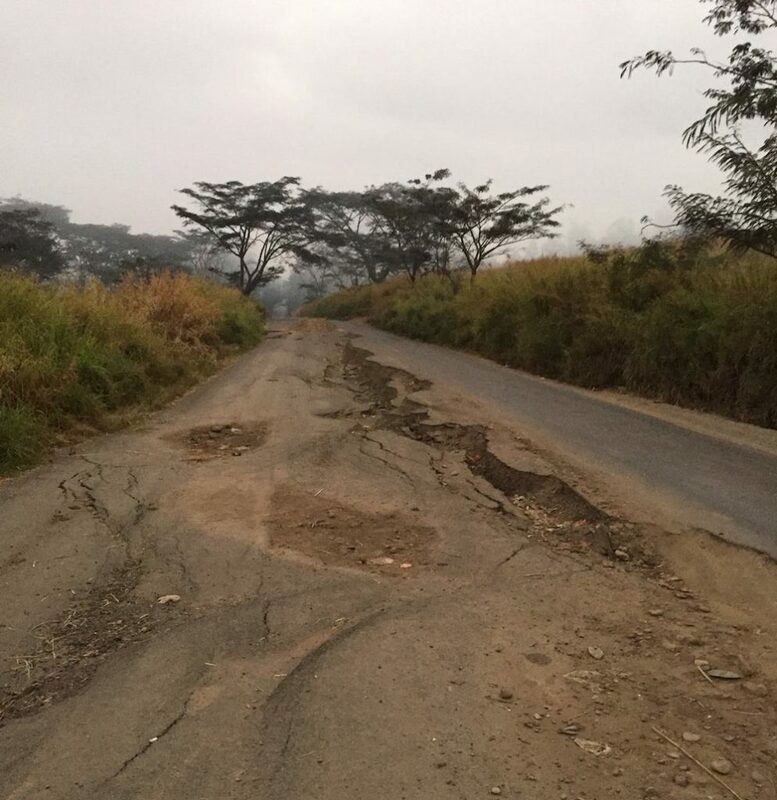 When Grant or David tell us that shipments are delayed because it’s raining, roads and bridges are washed out, or a broken truck is blocking a road, it’s clear there’s nothing they can do. We drove over roads that are half gone and crumbling, saw bridges hanging on by threads and avalanches that had barely been tended to—to say nothing of natural or man-made disasters. Forget about driving at night. The marketplace is an explosion of color. Daybreak looking out over Mt. Hagen Valley, with Mt. Hagen and Mt. Giluwe (the second-highest mountain in PNG) majestically in view. The scenery alone makes PNG worth a trip. From the air, you can see how lush and varied and uniquely wild and untouched the country is. The vegetation, the trees, flowers, fruits and vegetables are extraordinary. Going to the market is an explosion of color—I saw vegetables I’d never seen before. Imagine, they have 300 varieties of just bananas! Today, nature like this exists in too few places in the world. Also, meeting Bill Gardner and some of the other individuals who are part of the coffee history in PNG. Kigabah is one of the bigger, better-organized and operational farms/mill/drying facilities in the Western Highlands. 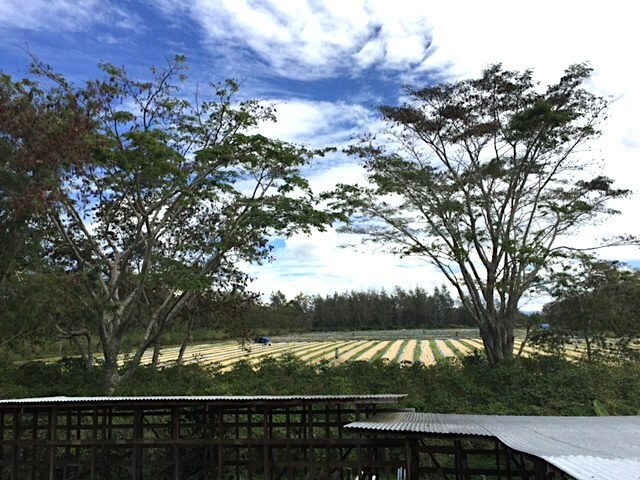 Billy’s family farm goes way back to the beginning (it was started by his father), and they’ve historically been a good supplier to NGH and InterAmerican. John Mason is a trader and senior vice president at InterAmerican who grew up in South America and joined the coffee industry in 1994. 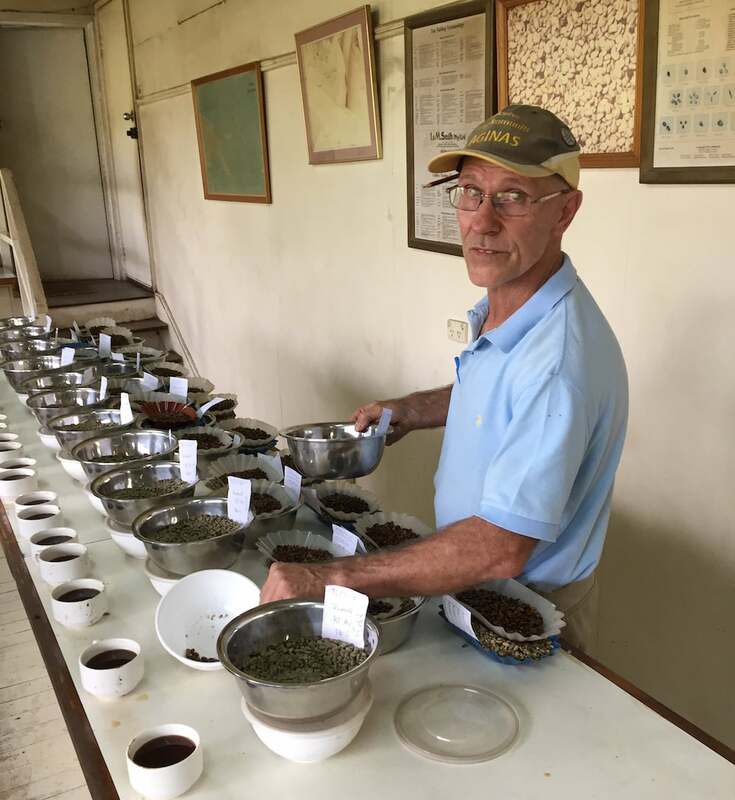 In addition to PNG, his coffee-sourcing efforts have lead him to, among other places, Brazil, Colombia, Costa Rica, Ethiopia, Guatemala, Indonesia, Kenya, Mexico, Bolivia, Ecuador, El Salvador, Haiti, the Dominican Republic, Honduras, Jamaica, Nicaragua, Panama, Peru, Puerto Rico, Tanzania and Venezuela. Papua New Guinea Korofeigu Organic (P7105 NJ 320 bags 60kg) ETA mid Nov.
Citrus, blueberry, herbal; bright acidity, sweet and creamy. Nutty, herbal, caramel, light lemon; delicate acidity. Savory, soupy, black pepper, sweet tomato; bright acidity, silky body. Papua New Guinea Mile High A (P5911 NJ 319 bags 60kg; P5913 Annex 127 bags) Arrived mid Sept. Bright, citrus, creamy and herbal. Or, view our complete offering list from Papua New Guinea. Coffee drying on Kigabah Estates, Billy Gardner's farm in Papua New Guinea.